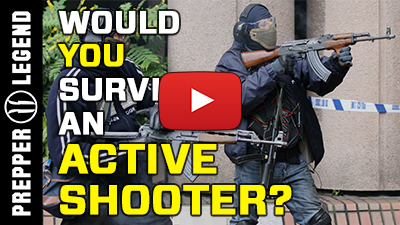 Would You Survive an Active Shooter? Home » Would You Survive an Active Shooter? When armed madmen attack in your vacinity, will you know how to save your life and the lives of your loved ones? On the night of October 1st, 2017, a mad gunman fired 1,100 rounds into a crowd of 22,000 people, at the Route 91 Harvest music festival on the Las Vegas Strip in Nevada, killing 58 people and injuring 546. 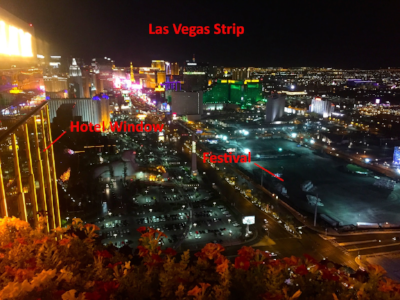 64-year-old Stephen Paddock, of Mesquite, Nevada, used a modified AR-15 assault rifle, and auto-fired at the crowd for just under 10 minutes, from his hotel room window on the 32nd floor of the Mandalay Bay hotel (across the road from the festival). He was later found dead in his suite with a seemingly self-inflicted gunshot wound. As of the writing of this post, his motives are unknown. The incident was the deadliest mass shooting committed by a single person in the United States. Even though this mass shooting happened only a few months prior to the writing of this post, this type of scenario has happened many times over the course of the last decade, in various forms. The core principles are always the same – an armed madman (or multiple men), carrying either a ranged or melee weapon, charges into a crowd of people in order to kill, injure, and spread terror for some ideological reason, or due to them being mentally unstable (or both). They pick their targets randomly and usually start with the ones that pose the most danger to their mission, like soldiers, police officers or security guards. Then they usually move on to anyone who they perceive as threatening, and only then anyone else at random, according to their vicinity and line-of-sight to the target. In the Gear Tier System series we discussed the Core and EDC equipment we should carry on ourselves at all times, and this will be more than sufficient to handle this sort of situation. 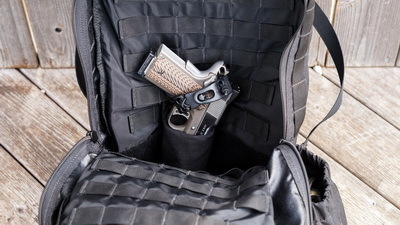 If you have a licence to carry a concealed weapon, you can carry one in your backpack for extra security. In the Gray Man series, we learned how to disappear into the background and how to refrain from attention-grabbing activities. Becoming the gray man will give us the few extra seconds we need in order to initiate our danger protocol (coming up soon, keep reading!). Will having the right gear be enough to survive this sort of scenario? Having the right gear is a great start, but we’ll need something more. 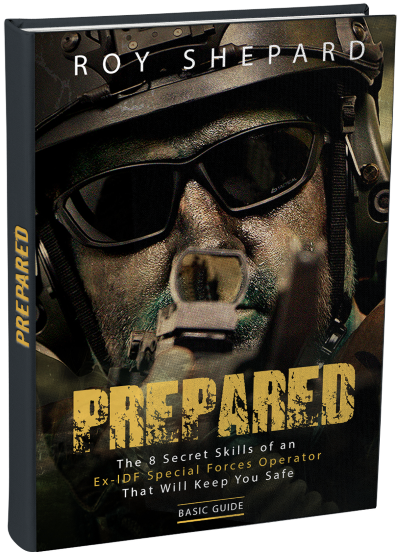 As we discussed in the books Prepared and Advanced Preparation and in the Gray Man series, situational awareness is where it all begins – being able to notice a dangerous event as soon as it starts, or better yet, prior to it, is crucial in avoiding and surviving it. Alerted (yellow) – get your gear ready in hand, and plan your cover positions and escape routes. Danger (red) – where SHTF and you must act now with full conviction to survive and help others around you. So what should we do if an active shooter scenario is going down? This is it – you are in a SHTF situation – you recognize an unstable, armed individual (or group) that is attacking people around you. Your actions during the next few seconds are detrimental for your survival! You need to either neutralize the threat or escape the active shooter arena. Important Note: If you are with your family or friends, grab them by their collar or backpack, and yank them down. If you can’t reach some of them, yell at them to drop down. Do not try to save strangers at this point, since they may think that YOU are trying to harm them. If you haven’t already, grab your self-defense weapon (either your knife, or tactical pen), and have it ready in your hand. Scan your surroundings for the best escape route behind hard covers – concrete or metal walls will work the best. If possible, create a diversion that will grab the attention of the attackers away from your escape route. You can use anything that will cause a loud noise or a spectacle – throw your phone with a timed alarm, shatter a glass or or use anything breakable or flammable to create your distraction. If possible, darken your escape route by destroying any light fixtures that illuminate it – being invisible in the dark is a type of soft cover you can use while being exposed, when moving between hard covers. Dash between covers toward the exit, and make sure you are not exposed for more than 3 seconds – count 1001, 1002, 1003 in your head. We add the 1000, since during an event your adrenalin levels will surge, warping your concept of time. 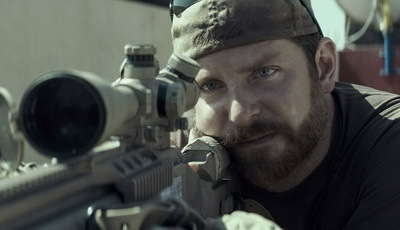 3 seconds is the amount of time it takes a professional sniper to zero in on a moving target, so don’t take any chances! 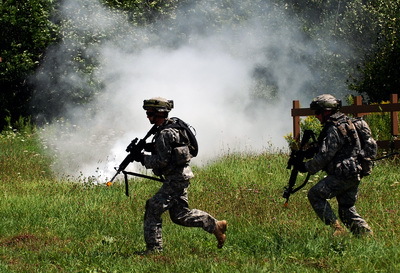 Once you’ve reached a safe zone, outside the active shooter arena, mend your wounds if necessary and then see if there is anything you can help with – from providing first aid to the wounded, helping evacuate civilians and so on. If you have no choice but to engage with the active shooter, don’t play fair, and don’t try to face them head on – try to create a distraction, and ambush them from a location which is favorable for you. Having a ranged weapon and/or number superiority (at least 2 to 1) is an advantage. Important Note: engaging with an active shooter, may cause the authorities or some enthusiasts to consider YOU as an active shooter, and they may attack you. So again, do so only if you absolutely have no other course of action in order to survive. Important: DO NOT TAKE UNNECESSARY RISKS, and do not stay in one place for more than a few seconds. An active shooter scenario is one of the most stressful situations imaginable! Make sure you are always prepared with your gear and mindset and if you ever find yourself in such an event, follow the protocol to increase your chances of making it back to safety. Don’t take chances, use distractions and never play fair! You can even throw a live chicken at the assailants – the chicken will flap their wings and cause a ruckus, diverting the assailants’ attention away from you. Have YOU ever been attacked by an active shooter? Tell us your story. What do you think is the most important thing to do during an event like the one in las vegas?